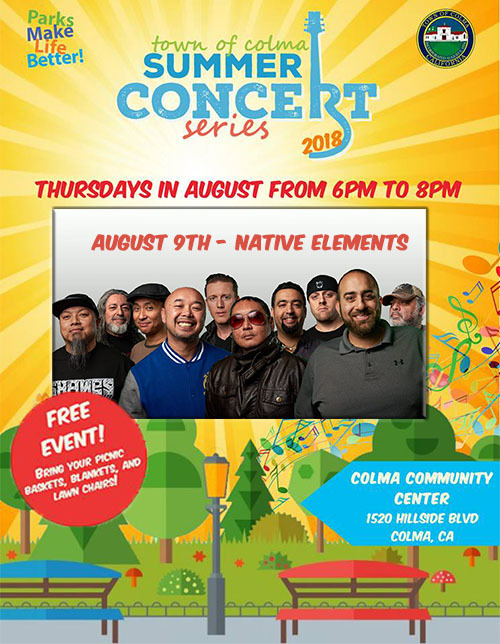 Concerts are FREE to the public and begin at 6:00pm and are held at the Colma Community Center, 1520 Hillside Blvd. Colma, CA 94014. We hope to see everyone out here for this free community event.